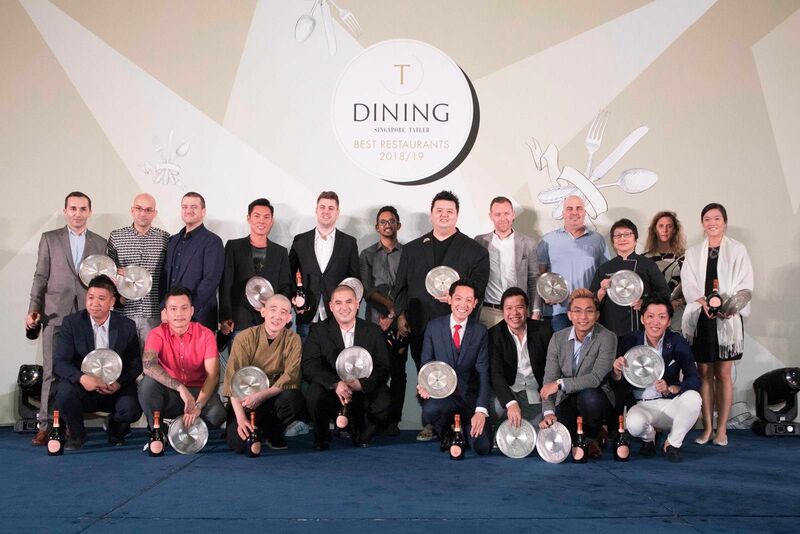 On November 19, our society friends, gourmands and F&B personalities flocked to Shangri-La Hotel, Singapore for the unveiling of the T.Dining by Singapore Tatler's Best Restaurants 2018/19, in partnership with HSBC Visa Infinite. To get the party started, guests had a plethora of drink options: Laurent-Perrier champagne flowed freely, as did wines by Dark Horse Wine. Those with a penchant for beer and cocktails headed to Origin Bar, Peroni and TWG Tea for refreshing tipples. But what’s a food event without, well, food? Origin Grill, Tandoor, Xin Cuisine Chinese Restaurant, Omote, Wolf Burgers, Kindred Folk and Patara Fine Thai Cuisine served delicious dishes, satiating guests while they waited with bated breath for the results of the special awards: Best New Restaurant, Best Service, Best Interior Design, Hall of Fame and Top 20 Restaurants (a new addition this year). The restaurants received beautiful silver plates by Royal Selangor as well as a bottle of Laurent Perrier rose.